Flat Track is currently the fastest growing sport on two wheels, so much so that it’s even become one of the center focal events at X Games, and all the sport’s top guys are coming out to race. 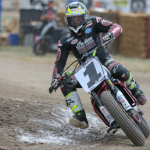 Indian Factory Racing’ Jared Mees took the overall win followed by Briar Bauman and Jake Johnson. The whole event is a one-off exhibition race, but it brings awareness of the sport to homes and viewers nationwide, and we’re pretty excited about that. 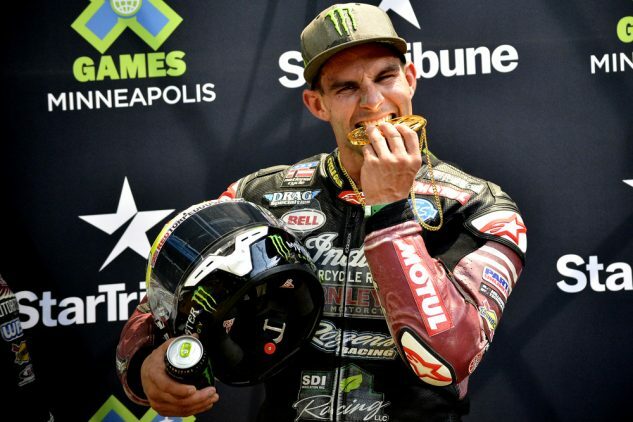 MINNEAPOLIS, MN – July 23, 2018 – Monster Energy congratulates team rider Jared “Jammer” Mees on winning gold in the Harley-Davidson Flat Track event at X Games Minneapolis 2018 today. In front of a high-energy crowd, the 32-year-old from Clio, Minnesota won his second career gold in a field of 24 elite flat track racers. The high-octane Flat Track race marked the final motorized event at the world’s premier action sports spectacle – supported by Monster Energy as the official drink sponsor for the fifth consecutive year – at U.S. Bank Stadium in downtown Minneapolis. 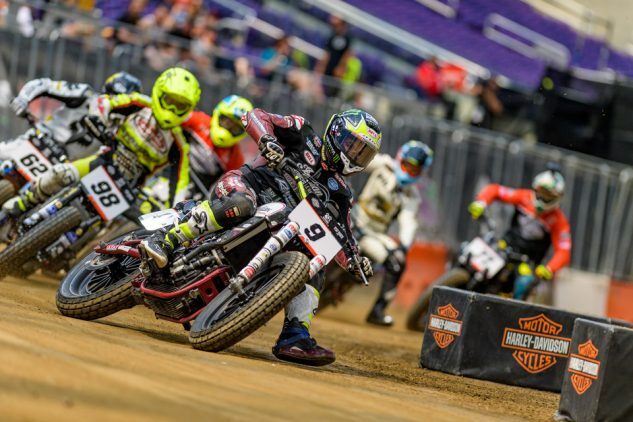 For the first time in event history, the Harley-Davidson Flat Track race was brought indoors at U.S. Bank Stadium today. The construction crew had worked all night to transform yesterday’s motocross freestyle course into a flat track at one-eighth of a mile length. 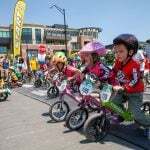 The relatively short track with its tight turns presented a challenge to even the most seasoned riders, plus the dry and slick surface punished even the slightest mishaps. 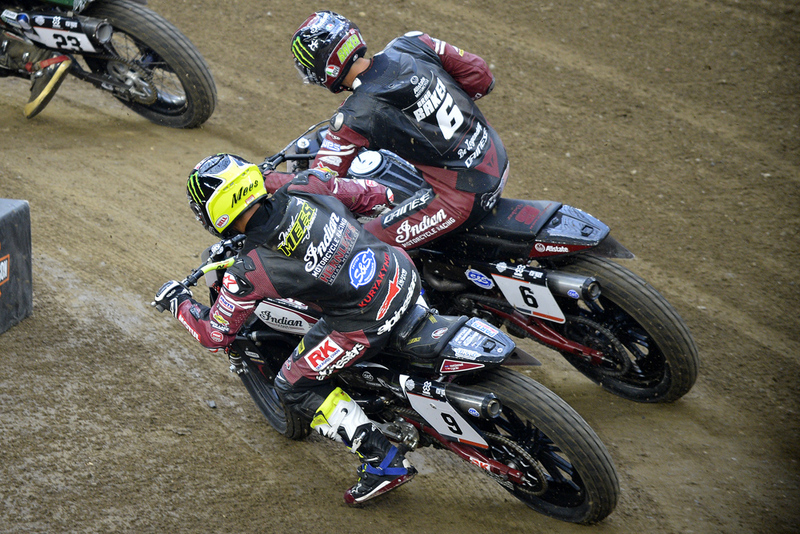 But straight out the starting gate, Mees found himself trailing behind Jeffery Carver Jr., the only racer to beat him on the Flat Track circuit this year. Looking for an inroad to make a pass, Mees finally found one on the fifth lap, when Carver’s mistake created a loophole. From there, Mees clinched the top position and defended it on his Indian Motorcycle Racing bike until the end, trailed by Briar Bauman on his heels. By the time the field hit the 17th lap, Mees had cemented his lead into over three seconds. When the checkered flag came down, the decorated racer ended the 20-lap race with an impressive 4:00.747 overall time to claim his second career Flat Track gold medal. “This kind of indoor short track is what I grew up on,” said Mees. My bike was running flawless, I felt really good, and it is awesome to get a gold medal today. This is such a unique race and it is a great honor to keep getting invited back,” continued Mees on winning gold today. Unfortunately, Mees’ Monster Energy teammate and last year’s bronze medalist Brad “The Bullet” Baker had to pull out of the competition today. Today’s gold medal brings Mees’ X Games medal count to three (two gold, one silver). Having won silver at last year’s X Games Minneapolis, Mees is a dominant force on the American Flat Track series, where he won nine out of 11 races this season. Married to pro Flat Track racer Nicole Mees, the multiple AMA Pro Flat-Track Grand Champion started racing at the tender age of six and ranges among the most successful athletes in the sport today. 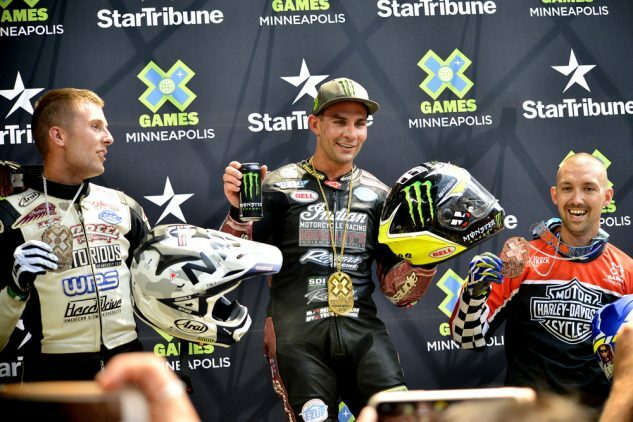 ESPN and ABC will televise a combined 19 hours of live X Games Minneapolis 2018 coverage, reaching more than 500 million homes and viewers in 192 countries and territories. X Games Minneapolis coverage will also be accessible via the ESPN App to viewers who receive their video subscription from an affiliated provider. Don’t miss out on the action in the Twin Cities. 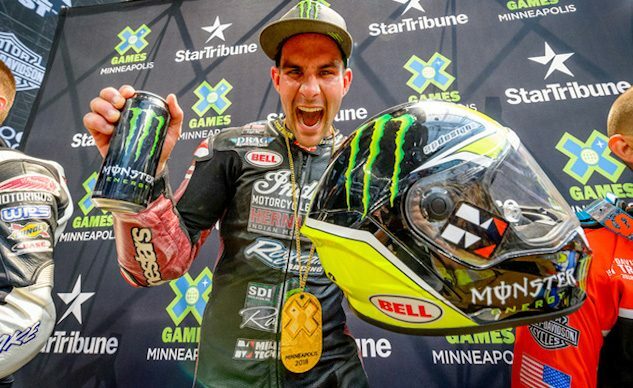 Score all the exclusive updates from X Games Minneapolis 2018 including photos and contest results as they happen visit http://www.monsterenergy.com. Follow Monster Energy on YouTube, Facebook, Instagram & Twitter and watch the official Monster Energy hashtag #unleashedatx on social media.